Thermodyne’s Precision Heat Transfer System is the only one of its kind in the world, using the revolutionary Fluid Shelf® technology for Slow Cooking, Regeneration, Volume Sous-Vide Cooking and Pre-staging all in the same piece of equipment, all at the same time. Its gentle heat provides for maximum quality preservation and yield, as it does not expose the food to super-heated air or excessive steam. In fact, Thermodyne is neutral in terms of moisture. It cooks meats gently, preserving size, juices and nutrition. It also preserves all your food for longer periods of time, whether they are proteins, vegetables or starches. Cook overnight or during service, Thermodyne will be your trusted companion to provide you with a safe and stress-free kitchen solution. Whether you have twenty demanding customers or thousands, you can be assured of consistent quality from the first to the last. We even offer some units without doors, the perfect solution for quick serve “QSR”. Thermodyne is the ideal equipment for foodservice in Health Care, Senior Care, Corporate Catering, Casual Dining, Fine Dining and more. All this, with energy savings like no other. With capacities from 3 to 42 GN pans, we have a solution for your specific needs. Come and experience what all the best known chefs in the world are talking about. 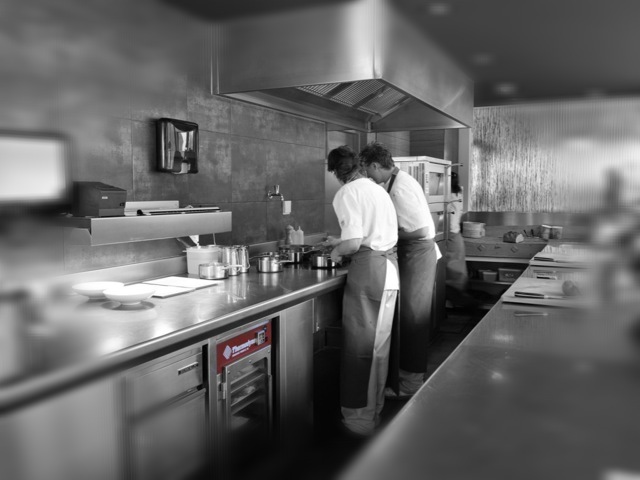 Experience what precision temperature control can do for your kitchen. Thermodyne Foodservice Products Inc. is set to exhibit at HOST in Milan October 18 to 22, 2013 in Hall 2, booth C03 in cooperation with Adande Refrigeration from the UK. If you would like more information about Thermodyne, or to schedule an interview with Cecilia Shepherd, please email Cecilia at Thermodyne@compassintlco.com – or call us at ++1-803-359-1226.